The global donation and fundraising platform JustGiving introduces a new British nonprofit called SnapDonate. 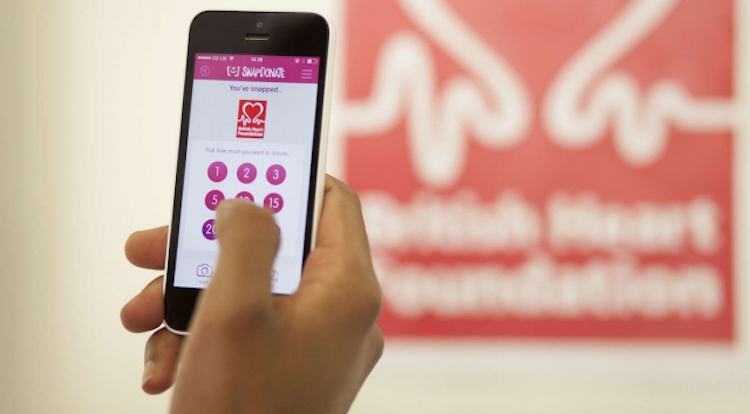 The app recognizes charities’ logos through a so-called ‘magic lens’, after which smartphone users can choose which amount they are willing to donate. The app works in offline mode as well and doesn’t require QR codes or special websites to visit. SnapDonate turns the one asset every charity has – its logo – into a digital fundraising tool and it does so without charging a penny. The app deducts no fees, shows no ads, and stores no personal information about donors. Charities get the benefit of a state-of-the-art app without having to invest in new logo artwork or technological kit. JustGiving handles all the donations. Charities can use technology to generate funds with just their logo – no modifications required. In the Netherlands, a similar startup is known for making donations to charities easy. The Whydonate app has been live since two years and accelerates donations, especially for small charities. More information on Mobile Fundraising? Visit our sector expertise website. New to SMS marketing? We already answered these 6 questions for you! A lot of questions reach us on a daily basis. Some real simple, some more difficult. But when you are new to SMS marketing we often get the same kind of questions. We have answered the most frequently asked questions below. This will give you a jumpstart with setting up successful SMS campaigns.